Fronted by the powerful vocals of singer Meghan Murphy, Chicago band Everybody Says Yes will bring its infectious R&B/soul sound on Dec. 5 to Wire, 6815 W. Roosevelt Road, Berwyn. The show starts at 8 p.m. and tickets are $10, available at www.ticketweb.com. I had the chance to talk to Murphy and songwriter John Fournier about the band. Q - Great to talk to you. I understand you guys plan to release your second EP soon, along with a live album and video. What should people expect from the new EP? In sitting down to make your first EP, what were your goals and do you think you accomplished them? John: The new EP is an extension of the first in every way and not a departure. It is a clearer picture of the sound and concept of the band, I think. The mix of influences (Muscle Shoals, Stax, Chicago Blues, Van Morrison and Dusty Springfield), are still in there but the more we work on the material and progress as a group, the more the sounds come together into something unique and all our own. The thrill for me of keeping a band together and working on original material and an original group sound is how it gels over time. As everyone figures out their unique role in the group and starts to master their part in the ensemble, it just gets better every time we play. It is a very exciting and rare thing to have and I've been around long enough to cherish it because it doesn't happen to every band. It also is vital to have a shooting star fronting the band and we have that in Meghan Murphy. Meghan: I think the new EP will be a little tighter musically as this is our second go at recording. We’ve had a number of songs ready to go for a couple years now, so we are trying to get them out to the people in ways that are accessible. The influences of soul, rock, R&B, and blues are all still there and we are fine tuning our unique sound of an old school throwback with a modern voice. It’s familiar, but unlike anything you’ve heard before. I think people are really going to dig the new tunes. Q - I understand that the two of met through mutual friends and quickly found out that you had a musical chemistry. Why do you think you fit so well together musically? John: I think Meghan and I hear music in the same way. When I bring her a new song, we generally learn it first as a duo before we bring it to the band. I never have to coach Meghan on how the song could be interpreted, she learns it very quickly and realizes its potential by the second or third time through as she simply understands the song and my intent instantly. It is a rare pleasure to have a partner like that when you are a songwriter and I love writing songs for Meg. Meghan: One of the first things I noticed about John was his musical integrity. John and I met after he’d seen me in my one-woman show and he asked me if I’d be interested in singing some of his original songs. He didn’t want to waste my time by putting on heirs or stroking his own ego. He wanted to make really good, authentic music and I was definitely down for that. Not to mention the man can write ANYTHING, and always with his own unique style. I’ve always thought of myself more as an interpreter of a story when it comes to singing, so I think we make a great team. Q - Everybody Says Yes has grown to a seven-piece band. How did you go about picking the other members in the band and what do you think they bring to the table? 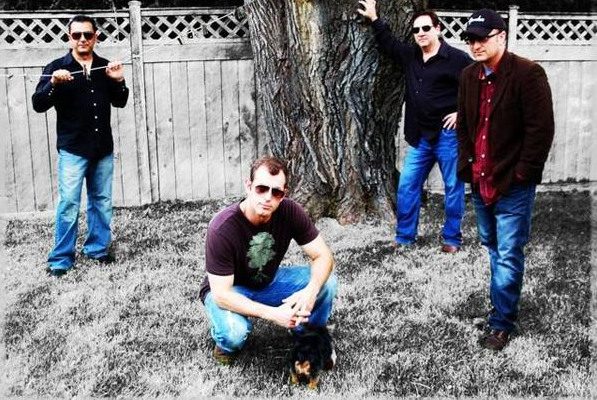 John: All of the band members: Lee Taylor, Scott Tipping, John Abbey, Alex Beltran and Scott Stevenson are musical veterans who have been on the scene for years. They are also straight up virtuosos on their chosen instruments and have thousands of gigs under their belts. They all have a deep understanding of what the band is all about and are able to instantly make it come alive. We are honored that they have chosen to be in this band. Meghan: This band is crazy good. All veterans of the scene that John has either played with for years or knows simply through reputation. Lee Taylor (drums), Scott Tipping (guitar,) John Abbey (bass), Alex Beltran (sax), and Scott Stevenson (organ) are insane musicians who understand the style from the inside out. Q - Meghan, I enjoyed your performance in "Rent" at the Paramount Theatre in Aurora. I understand that you will be playing the Acid Queen in "The Who's Tommy" at the Paramount Theatre. Tina Turner seemed to have been made for the role in the movie version of "Tommy." What do you hope to bring to the role? saw Tina when I was 15 years old, was blown away, and was instantly a life-long fan. The rawness, the sexual prowess, the vulnerability, the pure liquid JOY she seems to be having on stage are all things I hope to bring to the role. I also plan to sing the living piss out of it. Q - John, you won a Jeff Award for writing the words and music to "The Madam Barker Show." Do you feel you need both in your life, theatre and music? John: Well I am a songwriter and I am happy to have my songs sung anywhere. Whether I am writing songs for theater projects or musical ensembles, it is a joy for me. I am very fortunate to be able to write songs and ridiculously fortunate to have them heard. And winning an award for songwriting was a cool experience. John: I love the Chicago music scene. I grew up here so a lot of the sound of EVERYBODY SAYS YES is a distinctly Chicago sound, I think. People in Chicago are very smart listeners and have little patience for anything too pompous or self-important. Our sound is something people can latch onto right away, we sing songs about healing and joy and in these troubled times, we can try to help lift some spirits for an hour or so. I think Chicagoans appreciate that simple mission. 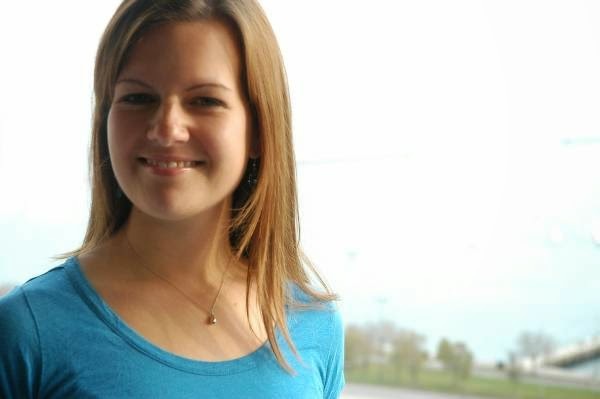 Meghan: I love the Chicago music scene because there is room for everyone. It’s inclusive, not exclusive. It takes the greatest attributes from the greatest styles of music and puts them all in a big melting pot of Awesome. Yes to positivity, yes to mixing the old with the new, the past with the present, and yes to feeling BETTER after you leave our show. After all, isn’t that the whole point of music?? 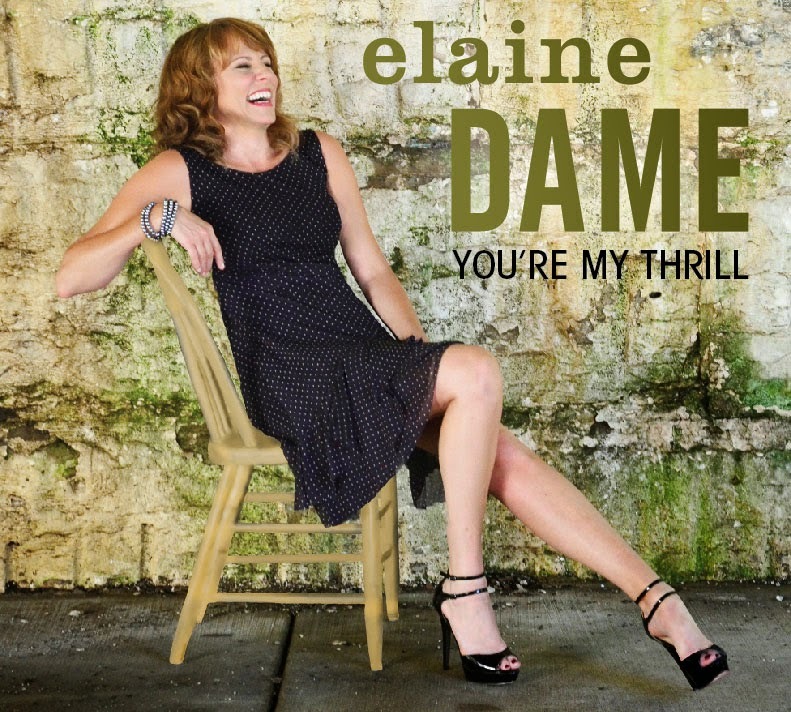 Those who have been anxiously waiting for Chicago jazz/pop singer Elaine Dame to release new music will soon be rewarded. Dame will perform Dec. 1 at the Jazz Showcase, 806 S. Plymouth Court, Chicago, in celebration of her sophomore album, "You're My Thrill." Dame will perform at 8 p.m. and 10 p.m. Tickets are available at www.ticketfly.com. I had the chance to talk to Dame about her new album. Q - Great talking to you. Of course, you will perform at the Jazz Showcase on Dec. 1 in celebration of your sophomore album, "You're My Thrill." In sitting down to make the album, what were your goals and do you think you accomplished them? Is there any meaning behind the album's name? Great talking to you too! Thanks for the interview! To answer your question, my goal in making this album was to make a recording that any person will like, not just the savvy jazz listeners, and to make a musically interesting recording with great tunes that I like to sing with phenomenal musicians and fun arrangements. I hope I've reached my goal. Based on the feedback of the folks who have listened to it already, the response has been very positive. There is no specific meaning to the album's name, except that it is "catchy" and I thought it would make a good album title. The tune is usually performed in a dreamy, moody ballad style, but I heard it as a funky, swing tune and that's the way it's arranged and performed on the recording. Q - Your last album, "Comes Love," was released in 2005. Why so long between albums? How do you think you have grown musically since the release of "Comes Love?" Lots of people have been asking me that question, and I think the short answer is "money." I produced my first record, to the tune of $20,000, and went into debt. I spent the subsequent years working to reduce my debt, while still trying to maintain my professional standing in Chicago. It is a constant day-to-day challenge, albeit a good one, to continue to grow as an artist and make a living. I'm so grateful that I am able to make a living as a jazz singer. A very generous friend of mine gave me $14,000 and I raised the rest of the money through a crowd-funding platform called, Indigogo.com I'm spending about $5000 of my own money, which is a far cry from $20,000. I think I have grown so much as a singer since my first recording and that just comes from years and years and years of doing it. There's no other way around it. You cannot learn from a book, you just have to practice, practice, practice. I think I have my own style now, which is great, and I am a more relaxed and confident singer, which comes from experience and from working with incredible musicians. Q - How did you go about picking the musicians featured on "You're My Thrill" and what do you think they bring to the table? It was actually a difficult process because I work with so many amazing jazz musicians. I think I wanted to try something different (and not use the same musicians as my first recording), so I chose people that I'd worked with a lot over the last few years, people that I really like personally and professionally and have a musical camaraderie with. They all have had extensive experience in the recording studio as well, which really helps, and they all sound absolutely incredible on the record. Q - The album features jazz standards like Nat King Cole's "This Will Make You Laugh," but also songs that are not jazz standards, such as Richard Thompson's "Dimming of the Day." How did you go about choosing the songs for the album? Yes, that's right. I sang that one for my mom. She is no longer able to see me perform, but when she was, she would always ask for that one, and it was always when I was performing with Dennis Luxion, the pianist on the recording. It is by no means a jazz standard, but I'd heard Bonnie Raitt cover it on one of her records and loved it, so I started performing it at gigs. It also gave me the opportunity to work with my friend and colleague, Paul Marinaro, who sings harmony on it quite beautifully. Q - You have been called one of the top Chicago jazz musicians. What is your approach to jazz? What attracted you to jazz in the first place? Thanks for the compliment! I never listened to jazz as a kid. I grew up with a lot of music in the home, though. My mom listened to classical music ad nauseam and my Dad listened to soul and R & B. I took voice, piano, and flute lessons growing up and attended college on a classical voice and flute scholarship, and I wasn't exposed to jazz until my mid thirties. I was working in a restaurant and the manager played jazz all the time and I really started liking it. Then, I read a book called "The Artist's Way" and that book changed my life. I decided I wanted to become a jazz singer so I found a pianist, rehearsed and learned the repertoire and became obsessed with the vocal jazz genre. After a year of that, I started "pounding the pavement" to get work. I got very lucky early on as I was hired to sing regularly at The Fairmont Hotel three to four nights a week. Now I have a few "steadies" around town, both in East Lakeview (Macku Signature and Taverna 750) and I've had the good fortune to have been offered regular appearances at New York's legendary Rainbow Room. I also perform for corporate events, weddings and private parties which is where most of my income comes from. "What is your approach to jazz?" That is such a huge question, I'm actually not sure how to answer it. I try to practice every day, get out and hear other musicians for inspiration, listen to jazz singers and instrumentalists, and I try to learn and grow as an artist by studying theory and piano, so that I can have a more informed approach to harmony. It is a never-ending process of growth and discovery, both daunting and thrilling. I think the music scene here is amazing. Where else can you go and hear all types of music any night of the week? My community in particular is very supportive and helpful, there is a lot of camaraderie and support for other musicians and their creative endeavors, which is the way it should be. I'm not sure how I fit into it. I hope that people think of me as a good musician who approaches this music from a place of sincerity and integrity. I am also a jazz singing teacher and it really makes me happy to know that I am helping people study and appreciate this genre. Hmmm...on my next record, I'd love to collaborate with all of the great guitarists in town. There are so many that I've had the privilege of working with. I'd love to travel the world performing and I'd love to sing with a big band too. That is something I have never done. Those who come out to see Chicago singer-songwriter Linda Marie Smith's latest production, "Mearra - Selkie From the Sea," will experience a rich multimedia show. The family-friendly performance features Smith's adaptation of a classic Celtic tale told with original songs and performed with a six piece orchestra playing along to projected animation. The story revolves around Mearra, a mythical seal as she makes use of her magical ability to transform into a human being, marries Ian, a lonely fisherman and eventually starts a family; knowing all the while she must inevitably return to the sea as a seal, or perish. The show will be at 3 p.m. Dec. 7 at Old Town School of Folk Music's Gary and Laura Maurer Concert Hall, 4544 N. Lincoln Ave., Chicago. I had the chance to talk to her about the show. Q - Great talking to you. In sitting down to make "Mearra - Selkie From the Sea," was it your intent to always bring it to life visually? What was your inspiration for the project? Yes, it was always my intent to add a visual component to Mearra. I’ve been drawn to folklore and fairy tales since I was a child. Years ago, I watched a movie called “The Secret of Roan Innish.” I was captivated by this unusual tale and began reading all that I could about the subject. The idea of transforming from one being to another is fascinating to me. And I think this tale is a metaphor for what we as humans do throughout our lives…evolve and transform. Q - For those who attend the show, what should they expect? The live performance is a musical/multimedia experience that tells a story about Mearra, a young Selkie maiden who falls in love with a lonely fisherman named Ian. Ian is enchanted from the moment he sees her. So, Mearra bids farewell to her life in the sea, marries Ian and eventually they have a family together. The instrumentation includes me on piano and acoustic guitar, along with immensely talented musicians who play electric guitar, violin, Irish tin whistle, drums and bass. I sing lead on all the songs and I’m accompanied by rich vocal harmonies. In addition to the music, moving animated illustrations accompany each song, which is projected on a large screen above the musicians and myself. Also there is a spoken narrative before some of the songs, which also help tell the story too. Q - What would you like for them to take away from the show? This is a little long winded, but here ya go. Folklore and fairy tales usually involve fantastic people or animals, but usually deal with things we value most highly, fear most deeply and hope for most ardently. "Mearra~Selkie From the Sea" is a love story about two people who know from the beginning of their relationship that in seven years Mearra will have to return to the sea. However, Mearra and Ian are so overcome in love that they don’t let that inevitability change their plans. They marry and have a family. As the seven years pass, Mearra becomes ill, her life on the land has taken it’s toll and now she must return to the sea. Her son Morlo is a Selkie too and feels the strong pull to live in the sea with his mother. The father Ian and daughter Ffion are of the land. This family loves one another so much that they accept the inevitable but know that their love will be the everlasting thread that keeps them together forever. Mearra's story is a relevant experience for all human beings. Love is the most important thread in the human existence. We yearn for it, we risk our lives for it, we succumb to it, we thrive in it. Shortly after I finished the recording of "Mearra," my mother died. It was the most devastating loss of my life but the story of Mearra really helped in my grieving process because I do believe that if you love someone they are always a part of you forever. Q - The show will be presented at the Old Town School of Folk Music, where you also teach. What do you try to convey to your students? I teach in the adult guitar program. I think it’s important to remind students to leave their stress at their jobs and have fun and enjoy the process of learning something new. I find that teaching is a very rewarding experience. I’ve been at The Old Town School of Folk Music for 14 years and I’ve loved every minute of it. Q - Your last multimedia show, "Artemisia," debuted in January 2006. Was it time to do another multimedia show? What were your goals for “ Artemisia” and do you think you achieved them? Yes, it was time to do another multimedia show. My goals for "Artemisia" were to educate an audience through the medium of music and visuals about the enigmatic Italian painter Artemisia Gentileschi. And I think I have met my goals for this project with the exception of someday seeing the live presentation of this work on public television! Q - The renowned Michael Smith appeared on your first three albums and you have worked with him on different projects. What you you take away from working with a musician of such caliber? He is a master songwriter and his songs have been an inspiration to me since the first time I heard “The Dutchman.” His songwriting style helped me learn and understand the process of how to tell a story through music. The use of imagery and poetry are very strong aspects in Michael’s music and he has inspired me to do the same within my own songs. I am forever grateful for Michael’s influence in my life and in my music. Hmmm…good questions. Chicago has an amazing music scene. Since I’ve focused my attention on presenting my music in a story-telling, multimedia format, I think it limits my opportunities to perform in many music venues. My music requires a listening audience and frankly I think “listening” venues are few and far between in Chicago. I mostly focus on colleges, universities, performance art venues and libraries to market my music. A cool thing that’s happening for "Mearra" is WYCC - Channel 20 public television station is going to air my release concert that I performed in March of this year. I’m hoping that this opportunity will expose "Mearra~Selkie From the Sea" to a broader audience! Keeping my fingers crossed. Chicago band Smidgen is a band built upon years of friendship. Three of the band's members - bassist Steve Strauss, guitarist Fred Ephrem and drummer/keyboardist/vocalist Alex Beblis, have known each other since the '80s, which helps contribute to Smidgen's muscular sound. Smidgen will perform Nov. 14 at Reggies' Music Joint, 2105 S. State St., Chicago. Circleswitch and Skyway Stereo also are on the bill. The show starts at 7:30 p.m. and tickets are $8, available at www.ticketfly.com. I had the chance to talk to Strauss about the upcoming show. Q - Great to talk to you. You, Fred and Alex - have known each other since the early '80s. Why do you think the three of you connect so well musically? It's just years of fighting like brothers where you sonically have a trust and a respect for each other. We know our faults and our strengths in putting together music. Most importantly we can talk honestly and direct with each other. And it will not bruise egos. We write for the song. Q - In sitting down to make your self-titled EP, what were your goals and do you think you accomplished them? The album is on iTunes and Spotify, plus a host of other Internet music outlets thanks to Tunecore and songs are playing on Internet radio. Still need to put EP to college radio. We plan to do that in February. We still need to generate more revenue to finance studio time for our next songs. Q - Tell me a little about the making of your song "Bring to Life" off the EP. I understand that your lead singer, Nick Chirikos, had not finished writing the lyrics to the song before you sat down to record it. We recorded the track in L.A. when we attended the NAMM convention. Danny Naim is a great producer and engineer in LA, that we hang out with at NAMM. He suggested recording in his studio the Cave than fighting LA traffic going back to convention. Musically we had finished the song three weeks before. When the tracks and recording started to lay down easily Nick rushed upstairs with me and penned the lyrics. Q - Nick really stretches his vocals on that song and he reminds me of Chris Cornell (Soundgarden) in his vocal range. How did you get together with him and what do you think he brings to the table? Nick was found by the bassist in Alex and Fred's other musical project at a block party. He was singing covers. What he brings to the table is a gifted voice. We can write decent songs but if you do not have a decent singer, you have squat. Nick's voice defines Smidgen. Q - Another song, "Take My Throne," is featured in a short film, "iDig," which you act in. Do you think the song works well in the movie? How long have you been acting and do you need both acting and music in your life? Speaking with the directors, it strangely does fit perfectly. We did not write "Take My Throne" for the film, but the song addresses a sense of regret to redo one's life go back in time. Those elements were in the film as the main character tries to reconnects with his old classmates to pull his life out of a downward spiral. I always have acted. I started in junior high, and had lead roles throughout high school, then college. After college, I was in the Second City classes and was invited to become part of the troupe. When I heard the pitch for "iDig," I loved the role for Eric and tried out. With improv, live stage, and film you have to listen and work with the other players just like music. If you grandstand the vibe goes bad. I will do spot roles for Motion Source, which is also producing the video for "Bring to Life." But because of time constraints, I am focusing on music. We see a lot of bands and players from our generation still being a factor in the music scene. Wilco is Chicago's house band. With Chicago's great original music venues and music fests it's a very vibrant scene. We are making some of our best music now and getting very positive response with great crowd turn out and website activity is up 600 percent from last year. Our sound fits in that straight ahead, hooks, kinda grunge post modern groove. Q - The music industry has changed a lot since you first started playing music. Is it easier or harder to be a musician these days? How are you using today's technology to get your music out to more people? Great question. What is really great about present time is you do not need a record deal to make your music. With Pro Tools, social media and the Internet, you can self-produce a high quality product. With Internet radio, we are getting plays over 45 countries globally. And our costs are manageable. So in that respect, it's easier. Getting sustainable revenue for the music is an issue and labels help a lot in distribution. We use Instagram, Facebook, and other social media. We use Tunecore for distribution. We are on Jango Internet radio. Bandzoogle is our vendor for maintaining our website. All these technological advances really help bands like ours. We want to play out at all great venues and music fests locally about eight to 10 times a year. We plan to send 300 copies of the EP to college radio stations next spring. We want 10k-20k downloads. We want to hook up with a local studio and producer to produce our next eight songs. With "iDig," we want to play South by Southwest in March. We know a booking agent in Austin, who is a Smidgen fan. Long term is maybe get signed to an indie label. Brooklyn trio Mesiko is not the type of band that can be easily labeled. Strands of folk and psychedelia weave their way through the band's full-length album debut, "Solar Door." Mesiko will brings its captivating sound to The Gingerman Taven, 3740 N. Clark St., Chicago, on Nov. 11 for a free show. Jeff Taylor also is on the bill. The music starts at 8 p.m. I had the chance to talk to singer/guitarist Raquel Bell, guitarist David Marshall and drummer Ray Rizzo about the new album. Q - Great talking to you. In sitting down to make "Solar Door," what were your goals and do you think you accomplished them? Is there a meaning behind the album's name? Rizzo: "Solar Door" has lived up to and exceeded our expectations. It was important from the get-go to be specific about how we would become a band and shape the music. We prepared for a year and a half before we recorded "Solar Door." Bell: To get in the room with the people we got to be in a room with was our goal and our wildest dream. For the rest, we're just holding on to the floor, if you get my drift. Marshall: But oh what a feeling when you're dancing on the ceiling...You know. Nicole Ritchie's Dad. Rizzo: In our Mesi-world, many words and phrases including our band name and "Solar Door" have appeared to us like found art to help us identify and navigate things that otherwise can be very trying to discuss. Solar Doors are real things for us. We like to open them. Q - Sam Cohen, Kevin Ratterman and Joe Lambert, who all have impressive resumes, worked on the album. How did you hook up with them and what do you think they brought to the table? Rizzo: I had previously worked with Sam and Joe. Bell: We knew Sam from working in the Dumbo Arts Festival. Rizzo: I knew Kevin from Louisville since he was in Elliot, but none of us had worked with him. One of Mesiko's earliest shows was for The Lebowski Fest in Louisville. That's where we all met Kevin. He was dressed like a nihilist from the dream scene wearing a smoldering red shiny body suit and we thought, clearly this is the guy for us. Bell: Yeah, we need this man. This wizard is IN. Rizzo; As delicate as we could be with shaping the music, our record had to rock, and we needed the presence of people we trusted and were inspired by in order to complete the gesture. Sam and Kevin and Joe helped us step into the sweet spot. Q - Michael Shannon is featured in the fundraising video for the new record. It seems like that was a fun video to make. I understand that he plays in the band Corporal with Ray. What is it like working with him? Marshall: He's a seriously talented man, the sort of artist that inspires you to bring everything you've got. Be it sharing the stage or a pint, it's serious, and you know it's going to be great. Rizzo: Mike is an encyclopedia of music, a true artist and a profound songwriter. He plays Thelonious Monk melodies on the piano and always has a song or album that he is obsessing over. He's filled in on bass for a Mesiko show. Bell: Anytime you get to work with an artist as enthusiastic and all-in as Michael, it is the best. Rizzo: We had everything ready to go for the Pledge Music campaign but we needed a video. Mike was down to help so I showed up at his place with a script and a few props and David's white cat helmet and we took turns filming each other. We did it in about 30 minutes. It was indeed very fun. Q - Ray, what made you want to co-found the Motherlodge Festival in Louisville, Kentucky and has the festival met all your goals? Rizzo: Moving to Brooklyn from Louisville, the aspect of travel and mixing the communities of New York and Kentucky was essential to Motherlodge. In New York, I'd gotten to know many inspiring independent-minded theatre and music makers who were responding as I was to a culture of underwhelming art experiences resulting from the commodification of the arts in the 20th century. The impact of artists' dependency upon non-profit structures, arts funding and focus groups not only negatively affected the immediacy of many artists' work - it also limited the expectations of the audience and artist for what is possible in an artistic exchange. I thought that, even with no money, something could be started that in its essence could rejuvenate the creators and throw some new light on dim circumstances. In some ways, Motherlodge is more successful philosophically than in application, but the goal is still to share the creative moment with audiences that aren't as exposed to live art and to keep broadening the communities that take part. Technically, my wife and I are taking a year off to build an infrastructure that can better support Motherlodging, but we'll probably be in Louisville making something happen on the last weekend of February 2015. It's a tradition now. Q - How did Mesiko form and how do you see the band fitting into the New York music scene? Who or what are the band's biggest musical influences? Rizzo: I had been playing my own songs, and when Raquel asked me to play drums, we asked Steve at GBBM if he would give us a longer slot for Raquel's residency and we threw our jams together. We were Mesiko from the first show. Marshall: After Ray and Raquel joined forces, Bell called me (having been in past projects together) to bring some of my sounds to these songs, that's when I met Ray and saw the potential. Rizzo: I'm very proud about how much New York music comes out of us on "Solar Door," and proud of what I consider to be our version of American Pop. The shreds of Can and Bowie and X that people pick up on are come by honestly, but we didn't strategize those things or hole up with records. We arrived at the music being as it is because we are heatseekers and novice lucid dreamers. Rizzo: Always. Mesiko is a big one. Bell: Bring Michael Jackson back to life and do the "Hamptons BJ" dance in space. Marshall: My dream is basically realizing Raquel's dream of touring in a self contained, mobile, live studio/stage vehicle, performing where we land. Park 'N Play. The Mesi-bus. Rizzo: I've never heard this in my life. Rizzo: Nope, but I like it. For those fans of Chicago musician Laura Glyda who have been anxiously waiting to hear more of her emotionally stirring music, the long wait is over. Glyda recently released the EP "After Everything and All This Time," her first new music in 10 years. To celebrate the release, Glyda will perform Nov. 7 at Uncommmon Ground Lakeview, 3800 N. Clark St., Chicago. Also on the bill is Nick Peay. The music starts at 8 p.m. I had the chance to talk to Glyda about her new EP. Q - Great talking to you. It's been 10 years since you've released a CD. Why has so much time passed between "A Little Truth" and your debut solo EP? In sitting down to make "After Everything and All This Time," what were your goals and do you think you accomplished them? The last album I released was with my full band back in Boston in 2004. After leaving the band to move back home to Chicago, it was basically the end of a long-term relationship. I felt like I just wanted to be by myself for a while, focus on my writing, on my style, and being more agile in where and when I could perform. Coordinating four schedules and schlepping band gear had me a little weary...I was looking forward to being solo. But that also brought limits to the sound I could get from a single acoustic guitar. So I went through a period of some pretty heavy writer's block, where everything I wrote felt the same. But I kept writing as it came to me, and eventually I had this collection of material I felt good about. I also thought 10 years was way too long...so my goal was to release something in 2014. "After Everything" was the answer to that. Q - How do you think you have grown as a musician over the years? I have definitely found inspiration in wider varieties of music. (Although I'm still embarrassingly in love with '90s pop records...) I've still stuck mostly to guitar as my primary instrument for writing, but I've recently gotten back into composing on the piano, which I've been playing by ear as long as I can remember. I still have a lot of room to grow in performing on that instrument, but I write differently on a piano than I do on a guitar. I have to think more about rhythm and every note that goes into a chord. On guitar, it's easier for me to define a meter or pattern because it comes more naturally to me. But in the end, my writing style still feels very honest and open, and is based on experiences, senses, and memories...I think this is the core of what I do. Q - You are a Chicago native, but spent 3 1/2 years playing shows in New England with your band. What made you want to come to back to Chicago? What do you think of the Chicago music scene and how do the two scenes compare? I actually got homesick for Chicago while living in Boston. I really enjoyed living in that city, and it still feels like home in a way. I spent seven years out there between college and the years following, and it had a profound effect on me. Honestly, I wasn't sure I would want to come back to Chicago after college - I wanted to travel all over the world and never live in the same place for too long...but one day I just wished I was back here in the Midwest. Shortly after that, I decided to move home. The Boston music scene is really fascinating - The Laura Glyda Band started when I was at school at Northeastern University, so we had kind of a built-in audience of our friends and classmates. But that audience turns over every four years. You can experience this great surge in fan base and popularity, but as people move on and away from the city, you end up starting all over again to gain ground. Obviously things have changed over time and now people can access music anywhere. Overall, Boston was a pretty small, tight-knit scene in my opinion. It was easy to get started, but hard to really break through the 100-person rooms you'd play once a month just to stay current. Chicago is teeming with venues of all shapes and sizes, and while I think there is a lot of room for improvement when it comes to collaboration and camaraderie amongst artists in the city, it's a big place, and there are a lot of people willing to support local bands. Q - Where do you think you fit into the Chicago music scene? I am really proud to say there is a strong community of songwriters in Chicago, coupled with some wonderful venues and booking folks who work hard to keep the community thriving. The Chicago Songwriter's Alliance was formed last year which promotes not only a wide variety of artists for people to listen to and discover, but it's a fantastic way for artists to network and meet other performers to collaborate with. I've recently been attending a small songwriter workshop a friend of mine put together so we could hone our ideas, share our work, and get valuable feedback from other writers. It's challenged me in a way I wasn't able to challenge myself, which is pretty amazing. As for the Chicago scene as a whole, I'd like to see some larger venues working to incorporate the local songwriting community into some of the larger-known acts they get coming through the city. I know a lot of artists tour together, but where there is an opening on a bill, there is likely a really talented local performer who could contribute to that experience for the fans and the club. Q - I understand that Patty Larkin is one of your musical inspirations. How did she inspire you? What is your approach to songwriting? Patty Larkin was one of my heroes in my formative songwriting years (a.k.a. high school). She is an incredible guitarist and lyricist, and she challenged what I often feared was a dime-a-dozen category in the music business - the solo, female, singer-songwriter. Her music also incorporates alternate tunings and witty storytelling...something that inspired and also motivated me to try and write to that level. I write very organically, usually with one phrase, melody, or line 'appearing' in my head and sticking with me until I write around it to bring it to life. Like a lot of artists, I write best when I'm struggling with something, or when someone close to me is going through something I can try to internalize to understand. Sometimes it comes from going back to something that made you write an old song and 'digging' it up, so to speak, in order to feel what you felt that made you write in the first place. Other times, a song just comes to me. That might sound weird, but honestly some songs feel like they write themselves. Q - You taught yourself how to play guitar at the age of 14. What made you want to start playing the guitar? I understand that you've also given guitar lessons. In teaching guitar, what are the fundamental lessons that you stress? I spent a lot of time at my grandma's house when I was young, and my uncle had a guitar there. I used to just hide in the basement and make up songs on the guitar whenever we'd visit. Then my mom bought herself a guitar and a book of chords, and I became obsessed with playing and learning. I think I played that guitar more than she did. But to me, a piano felt like handing someone a dictionary and saying, "Here, write a story using anything you find in this book." It was so open and overwhelming, all laid out like a linear, blank canvas. I've found I create much better with a bit of structure. With guitar, the strings were tuned a certain way, and I could only play where my fingers could reach; and because I played by ear, I wasn't bound by traditional chords. I could explore combinations of fingerings that sounded different or odd...and when I couldn't find a note I wanted, I'd mess with the tuning to create it. In teaching guitar, I worked mostly with elementary school kids. What seemed hardest for them was playing loud or strong enough for fear of making a mistake. One of my favorite music teachers once told me, "If you're going to make a mistake, make a big one." It taught me that there is no room for fear in songwriting...you have to step fully forward into the light with your words and with your music, or it won't mean everything it could. 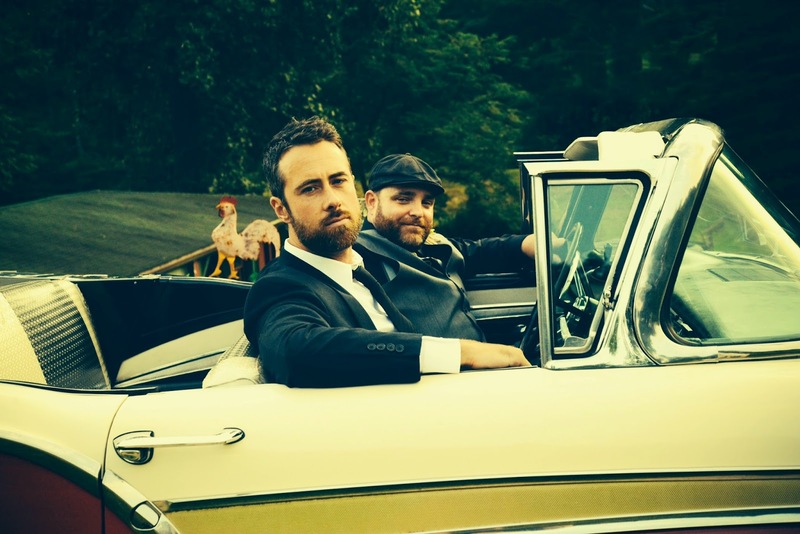 After discovering the strong musical connection that existed between the two of them, Vermont-based singer/songwriter Jay Nash and Nashville-based Josh Day decided to put their talents together and form the group The Contenders. In advance of the release of The Contenders debut EP, "Meet The Contenders" on Nov. 18, the duo will perform Nov. 3 at S.P.A.C.E., 1245 Chicago Ave., Evanston. The show starts at 7:30 p.m. and tickets are available at www.ticketweb.com. I had the chance to talk to Nash and Day about the new album. Nash - The tour has been a blast so far. The audience response to the new music has been overwhelmingly positive. In contrast to years of touring either as a solo artist or as the bandleader, aka 'boss,' it is really great to have a partner in crime with Josh. Q - What should people expect if they come out to the show at S.P.A.CE. on Nov. 3? Nash - I'm always a little hesitant to answer this question for fear of sounding like a total dork, but I am truly excited about this show. Musically, it delivers a good dose of rock 'n' roll, harmony, electric guitar and back beat. You will also find equal measure of humor, heartbreak and hope. Ultimately, we are just trying to achieve a similar connection that we found a long while back in the music that originally inspired us to pick up our instruments in the first place. Q - You guys have been touring as The Contenders since 2012. What made you want to release an EP at this time? Nash - That's not exactly true. This is our first tour as the Contenders. In 2012, we played a show together, then in 2013, I hired Josh as my drummer for about 70 shows supporting the release of my record, "Letters from the Lost.'' At the end of that stretch, we realized that there was something very cool about what we were doing together musically, so we decided to join forces on the creative process and start writing and recording together. Q - In sitting down to make the EP, what were your goals and do you think you accomplished them? Is there a double meaning behind the name of the EP? Nash - I would say our main goal in writing for the EP was to write and record honest songs that tell a story, and ultimately feel good. And I do believe we accomplished that. We set out to tell compelling stories and pair them with resonant melody, harmony and rhythm. Day - This process was new to me, as I am usually hired as a drummer /percussionist, or producer. So this was my first real writing experience. And I have to say, Jay really pulled things out of me creatively that I didn't even know existed. Q - Your sound is more classic country than today's mainstream country. Who are your biggest musical influences? Nash - It's funny - I didn't even realize that we were making country music until CMT Edge premiered our first tune, "The Contender." But we both are big fans of The Band, Willie, Waylon and Johnny Cash. We also love the Dead, Little Feet, Darrel Scott and Jackson Browne. Day - I would say Jay and I both really appreciate where the classic country guys were coming from. Again, It was all about telling a story without all of the bells and whistles. Q - I understand you met each other more than a decade ago. Did things click musically right away? Why do you think it is a good musical partnership? Nash - We have always had a good rapport on the few gigs that we have a had a chance to collaborate on over the years. It wasn't until the summer of 2012, when Sara Bareilles and Josh came up to the town that I grew up spending my summers in, Clayton, NY, for a benefit concert that I put on there every year called Rock for the River, that really had a chance to dig in. Then in 2013, I hired Josh as a drummer for my tour in support of my record, "Letters from the Lost." We played about 70 gigs together. That experience galvanized our friendship and our musical connection. We realized that our voices had a very cool symbiosis. We also found a lot of common ground in our rhythmic approach. Q - I know the both of you have your own music projects as well. Is it hard juggling this music project with your own music projects? What are the short-term and long-term goals of The Contenders? Nash - Balancing any facet of a musical career with real life is key to happiness and success, I would guess, for most musicians. There are definitely a lot of days where we both feel as though we are 'drinking from the firehose' because there is a lot coming at us. But it's worth it. We think that there is something very special about this musical partnership and we feel strongly that the songs are worth the effort. The short term goal is to get this EP out there, have a successful and healthy tour and better ourselves as musicians, so that we can exceed the expectations that we have of ourselves, musically....and hopefully exceed whatever expectations audiences may have. The long term goals? We would really like to get to a point where we can sell out Red Rocks and put on a show that resonates with audiences in the same way that our heroes did for us when we were first beginning to make music.